Donnie was on the Today Show to talk about "Boston's Finest" and more. NKOTB posted a behind the scenes video of the making of "Remix (I Like The)" music video. Check out the video below. Here is a video clip of Donnie on The Daily Show with Jon Stewart. He talks about Boston sports, "Boston's Finest" and more. Donnie and Danny have set up a raffle to win tickets for the New Kids on the Block cruise! Winner will be awarded a cash prize in the amount of $2,660.00 to mitigate the Winner's tax liability that results from winning the raffle. This prize is withheld and paid, on behalf of the Winner, directly to the IRS ($2,240.00) and the Commonwealth of Massachusetts ($420.00). The actual amount awarded may be adjusted proportionally based on the value of the actual prizes received. YoungHollywood.com interviewed Donnie recently. He talks about his instincts when playing a cop, filming in NY, and Package Tour with New Kids On The Block, 98 Degrees, and Boyz II Men. 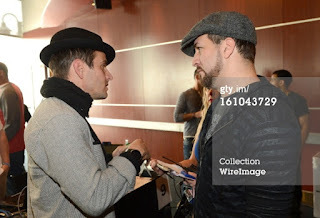 Donnie attended the premiere of "Boston's Finest" at the Revere Hotel in Boston last night. Here are some news and media links about the event and also some reviews of the show. Thanks to yikes77 helping find these links. Here is a video of Donnie talking about how a Boston police officer turned his brother's life around. The Boston Globe interviewed Donnie about Boston's Finest. Here is his interview followed by a video clip of him at the premiere. 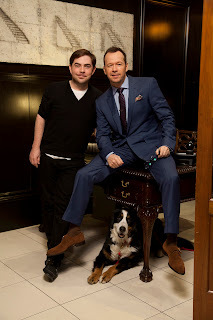 PASADENA, Calif. — When Donnie Wahlberg met with TV executives about producing a potential reality show set in Boston, he heard a lot of ideas as bad as actually trying to park your car in Harvard Yard. “Every network I met with was like ‘We want car thieves from Southie.’ ‘We want drunk housewives in Charlestown.’ ‘Let’s make a show called “Chowderheads”,’ ” says Wahlberg with a laugh and a sigh. Instead, the “Blue Bloods” star and New Kid on the Block sold TNT on the idea of training a spotlight on the Boston Police Department. The eight-episode series “Boston’s Finest” premieres Wednesday at 9 p.m.
Q. The series looks very in-depth, following several types of cops, not just on the beat but at home. A. We have access that has never been given to anyone, on the job and off with these officers. I give all the credit really to the powers that be in the city and the officers themselves. They put a lot of trust [in us]. We had to earn it — “Ride with us and we’ll see.” Every day we’d cross a new barrier where they’d trust us a little more and give us a little more access. There’s a lot on the line for the city itself and the officers. Boston’s a tricky political city, not the kind of city where people always want to have a camera in their face. Q. Were you surprised the police and the city were so accommodating? A. I think in life, or at least in the business I’m in, I have to believe the impossible is possible. And I typically do. So am I surprised? Looking back at the process, yes, I’m very surprised. But in the moment I was [confident]. Ignorance is bliss. (Laughs.) I thought, I’ve met the mayor enough times, I got enough keys to the city, he’ll let me do this! It’s a miracle he let me do it. Being a Boston boy and someone who takes great pride in the city, I think that certainly went a long way. A big part of my sell [to the city] was that it was with TNT because they weren’t looking for a bunch of cowboy cops. They were looking for real human beings trying to make a difference. Q. Is every episode structured the same way? Around a single crime? A. We follow different units. We ride with the gang unit a lot, the fugitive task force, patrolmen, and the SWAT team as well. Different people from those units stepped forward and became the central people that we focused on. We structure it like a regular TV series with an A story and a B story and sometimes a C story. Our pilot, for example, focuses on the gang unit. A suspect shot out at the cops while they were in a foot chase and their whole mission for a few weeks was to find this guy and we follow that story in the show. But we also follow two patrolmen as the C story and the fugitive task force chasing down a guy in Charlestown and how they go about the cat-and-mouse game of finding him, the tactics they use. It’s a lot of waiting around and a lot of really strategic chess playing, but when you see it come together it’s pretty awesome. Then the second episode we’re building it around no crime per se. It follows the gang unit and there’s a shooting that occurs with one of the kids in the neighborhood that they are trying to keep on the straight and narrow and, true story, he ends up getting killed and they spend the next two weeks trying to keep a gang war from erupting. It’s very emotional. And these two gang unit officers grew up in the same neighborhood where the shooting takes place and were both an inch away from being gang members themselves. Q. Do you already have the green light from the police department for a season two if TNT wants it? A. Yes, it’s the type of thing, in success, we would love to do again in Boston and potentially something we could explore in other cities as well. But for me, it’s all about Boston. Nothing would make me prouder than to see this show do well and see these officers shone in a light that I think is rarely shined on them. Q. Did you do any ride-alongs? Watch preview clip of Blue Bloods episode "Quid Pro Quo"
Euroweb posted a short audio clip of Donnie talking about Boston's Finest. They also posted a sneak peek of the first five minutes of the first episode. Click here and scroll to the bottom the page. According to Broadway World, Donnie is scheduled to be on The Today Show next Wednesday morning during the 10AM hour. 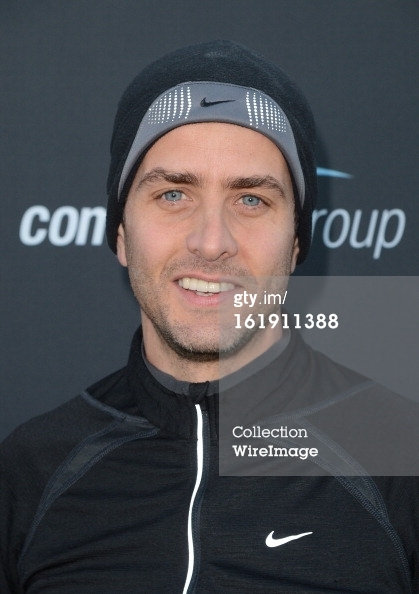 According to a report from deadline.com, Joey has been cast in a pilot for a tv show called The McCarthys. Here is the article. EXCLUSIVE: Actor-singer Joey McIntyre has been cast in CBS/Sony TV single-camera comedy pilot The McCarthys. Also added to the pilot, written by Brian Gallivan, directed by Fred Savage and executive produced by Will Gluck, is Jessica Chaffin, joining previously cast Jacki Weaver, Jake Lacy and Jack McGee. The McCarthys revolves around an Irish-Catholic, sports-crazed Boston clan and the gay son (Lacy) whose greatest sin is not his sexuality but his desire to spend less time with his family. McIntyre will play Gerard McCarthy, the one short guy in the family who is mad about it. Chaffin plays his sister Jackie, who swings wildly from overconfidence to insecurity, and is completely unaware that she’s her mother’s (Weaver) least favorite. This marks McIntyre’s first regular series gig since David E. Kelley’s Boston Public. At CBS, he is joining fellow former New Kids On The Block bandmate Donnie Whalberg, who co-stars on Blue Bloods. McIntyre, repped by Domain and KLWGN, will next be seen in Paul Feig’s The Heat with Melissa McCarthy and Sandra Bullock. 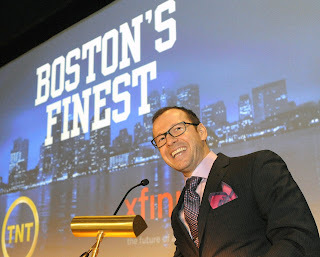 Donnie attended the premiere for Boston's Finest last night. 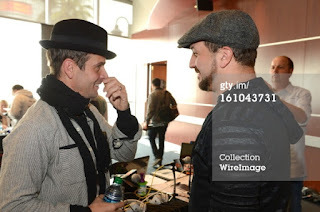 Fashion Magazine 247 posted some photos of Donnie here. 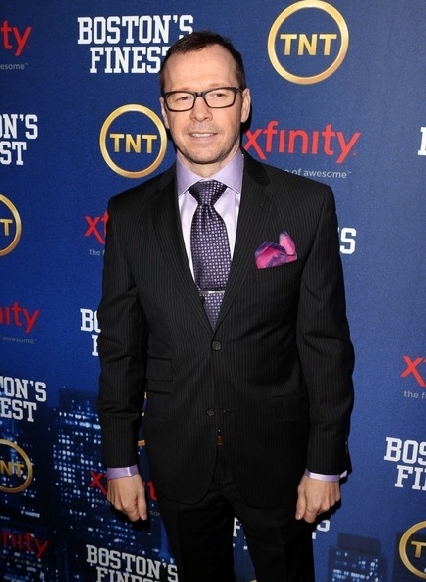 The Boston Herald reports that Donnie will be at the Boston's Finest premiere tonight in Boston. Donnie Wahlberg, Mayor Tom Menino and the “Boston Finest” cops will walk the red carpet tonight at the Revere Hotel for the reveal of the first two episodes of the TNT docudrama series about BPD cops. The series, which begins next Wednesday at 10 p.m. after “Southland,” follows members of the department’s fugitive, SWAT, patrol and gang units. Arresting stuff! Donnie Wahlberg and Julie Chen did a spoof on Blue Bloods and it will air on Friday's episode of "The Talk". Here is an article about it from MSN. NKOTB.com will be selling a "deluxe" version of "10" which will include a DVD of New Kids on the Block's performance at Fenway Park, a photo book with pictures of them making the album and more. Limited edition collectible deluxe box set, with a unique serial number and certificate of authenticity. Box includes an exclusive piece of the "NKOTB" banner that hung over the Green Monster at Fenway Park on June 11, 2011. "Live From Fenway Park" DVD featuring performances by New Kids on the Block- Available exclusively in the deluxe box set, will not be for sale separately. Ordering information and more details will be made available shortly. Due to the nature of the contents of the deluxe box set, supplies will be limited. 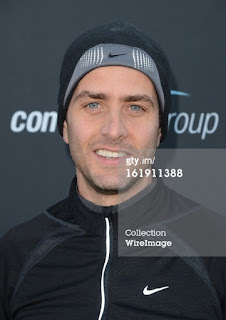 Getty Images posted some photos of Joey McIntyre running the Rock 'N' Roll Pasadena half marathon on Sunday. Pre-Order 10 on iTunes and get instant download of "We Own Tonight"
New Kids on the Block's new album "10" will be available for pre-order on on iTunes starting at midnight tonight. If you pre-order the album, you will get an instant download of "We Own Tonight"! You will also get an exclusive song from the album on the day of the release. Here is a clip of the song. Thanks again to BlancoDiddy for sharing. 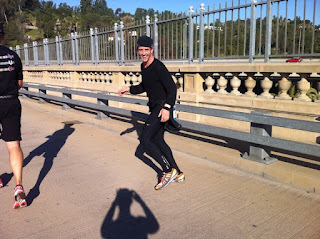 He also wrote a bit about running the race in his Marathon blog. Here are some highlights of Joey McIntyre guest-starring on 90210. 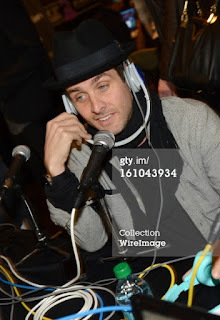 Joey McIntyre was interviewed on Virgin Radio 95.3 in Vancouver. He talks about the tour, the music video for "Remix" and his plans for Valentine's day. Watch preview clip of Blue Bloods episode "Warriors"
Here are some new tour dates for the NKOTB, 98 Degrees and Boyz II Men tour! Block Nation presales for all newly announced dates with the exception of Vancouver will begin on Monday, February 18th. Block Nation presale for Vancouver is today 2/14 at 10am local time. Visit this page for presale instructions. Public onsales for all dates with the exception of Vancouver and Atlantic City, NJ will begin on Saturday, February 23rd at 10am local venue times. Public onsale for Vancouver will begin Monday, February 18th at 10am local venue time. Public onsale for Atlantic City, NJ will begin Friday, February 22nd at 10am local venue time. For your CHANCE to attend the Boston’s Finest premiere event in Boston on Wednesday, February 20th, send an email with your full name to Cboston'sfinest@alliedim.com no later than Monday, February 18th at 11:59 PM. The screening will be followed by a conversation with the producers and complimentary popcorn and soda will be available. Please note the event is 21+, winners are entering for a CHANCE to win, we will pick winners at random – winners are admitted on first come first serve basis, just like all screenings. AllMusic has posted previews for We Own Tonight, Remix (I Like the), Miss You More, The Whisper, Jealous (Blue), Back to Life, Now or Never, Survive You/Let's Go Out With a Bang, and Block Party here. You can also listen to those clips in the youtube video below courtesy of BlancoDiddy. Joey was interviewed on Mix 104.1 while at the GRAMMYS. Thanks to misha_bsb for the link. 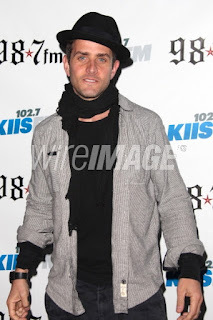 Joey McIntyre was interviewed on 102.7 KIIS FM. Here is the video. Joey talked to Entertainment Weekly about his role on 90210 and more. Here is the article. Joey McIntyre has portrayed an inner city English teacher on Boston Public, a police officer on Psych, and a shady gunshot victim on CSI: NY, but for his guest role on tonight’s 90210, the New Kids on the Block triple threat has chosen a role that hits a little closer to home. He plays Rand Gunn, a music manager called in to help Dixon (Tristan Wilds). “He’s kind of a guy that comes in to save the day,” says McIntyre. Catch McIntyre as the New Kid on 90210‘s block tonight at 9 p.m. ET on The CW. 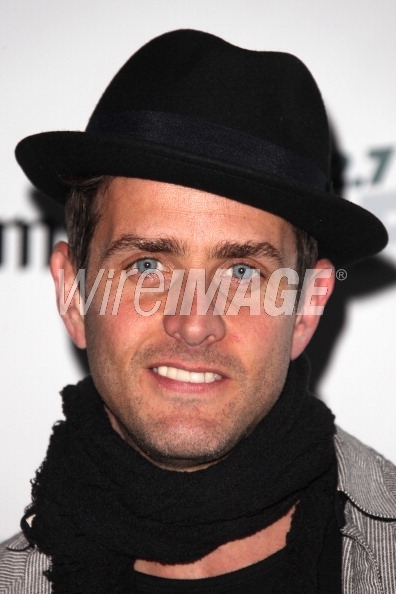 Festivities for The 55th Annual GRAMMY Awards have started and last night Joey McIntyre was backstage at The GRAMMYs Dial Global Radio Remotes and also at the 102.7 KIIS FM/Star 98.7 celebrity and artist lounge at ESPN Zone. 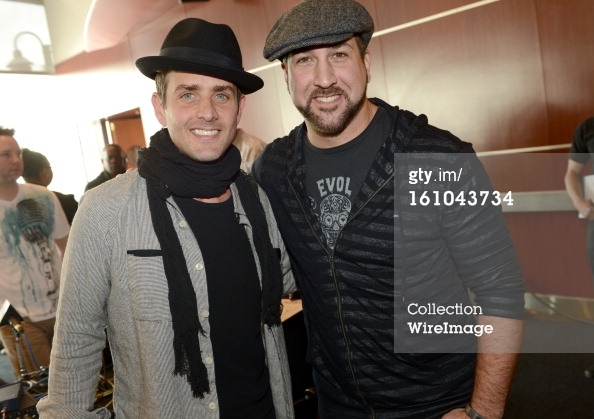 Here are some photos of him and Joey Fatone. Donnie Walhberg knows a thing or two about playing a cop on TV and in the movies, having embodied more than a dozen lawmen since he parlayed his New Kids on the Block fame into a successful acting career in the mid ’90s. But when Wahlberg, who currently stars as Detective Danny Reagan in the hit CBS cop drama Blue Bloods, decided to produce a law enforcement show of his own, he knew exactly whom he wanted for his stars — the real men and women of Boston’s police force. 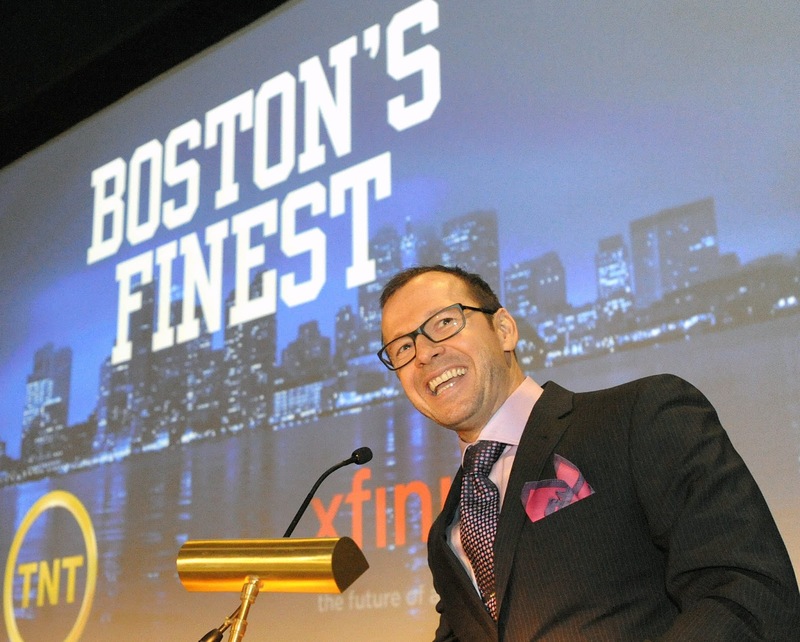 The result is TNT’s new unscripted series, Boston’s Finest, which premieres Feb 27. As powerful as Wahlberg’s drive to do the best job possible showcasing the force and the metropolis that entrusted him to tell its stories. “To take on a job like this and a challenge like this, there has to be a tremendous amount of respect for the city and for the police department and the way things work there,” he explains. “Sort of ‘honoring the code,’ I guess you could say. For me that’s the No. 1 priority — to honor what the city needs from me and what the police department needs from me and not honor the TV show first. Jordan did an interview on 105.7 WROR. He talks about The Package Tour and he hints there may be an international tour next year, he also talks about who is the cleanest and dirtiest on the tour and which of the guys are the biggest "divas". Thanks to @Fan4Life143 for the head's up. Jordan was on Kiss 108 to talk about Dancing for Hope this morning. 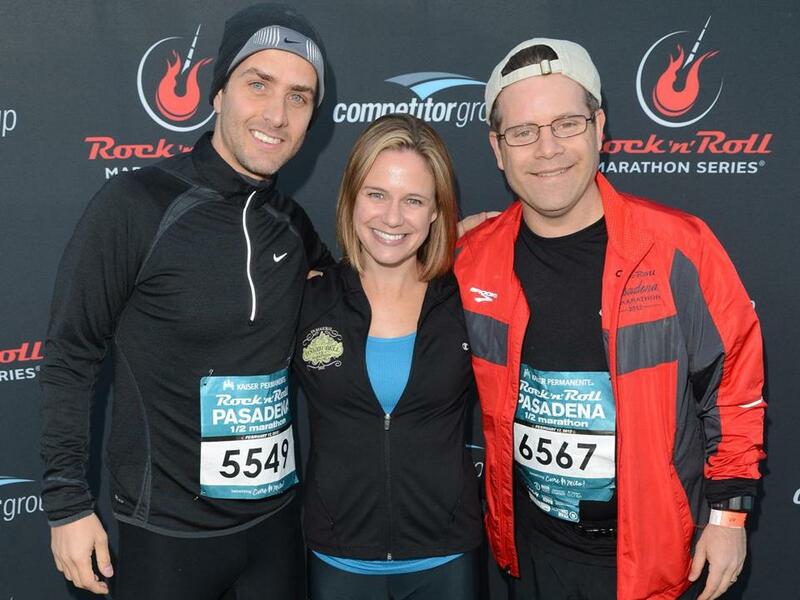 Here is the full episode of "Motive" with Joey McIntyre. If you just want to see Joey's parts, go to this post. Video courtesy of glowacka69. Thanks to @gosiaglowacka for the link. On the series premiere of “Motive," a beloved ‘80s teen heartthrob plays the first victim. “I wasn’t personally a teenage girl so I didn’t really like the New Kids on the Block all that much but he was amazing,” says executive producer Rob Merilees with a laugh. “He didn’t like our lyrics (to the song) at all – he was like, ‘How am I supposed to sing all this science?’ So he just re-wrote it and wrote this amazing little pop tune to the tune of ‘Hit Me with your Best Shot,’” says Merilees. Through a series of flashbacks, we get to see what drove the student to kill his teacher as detectives Angie Flynn (Kristin Lehman) and Oscar Vega (Louis Ferreira) try to piece together the clues themselves. According to executive producer and show-runner James Thorpe, the first episode of “Motive,” titled “Creeping Tom,” gives viewers a good taste of what’s to come in the new crime series. “I think it’s a great introduction. It shows average people in extraordinary situations driven to the point of murder and how their lives begin to disintegrate,” says Thorpe. This isn’t the first time McIntyre has tried his hand at acting. The youngest member of the boy band, now 40, had a regular role on “Boston Public,” appeared in such shows as “CSI: NY” and “Dancing With the Stars,” and has done stints on Broadway. McIntyre is also set to join NKOTB’s upcoming summer tour with 98 Degrees and Boyz II Men. Here’s hoping “Step by Step” will be included on that setlist. ***Weather Alert*** Dancing for Hope Charity Event has been moved to next Saturday, Feb 16th!!! Same time same place!! 10 comes out April 2nd! (International dates may vary). Click here to pre-order! Jordan is busy getting in shape with trainer Mike Boyle at MBSC for the upcoming tour with NKOTB, 98 Degrees and Boyz II Men. Check out some photos of Jordan working out here. Rashida Jones was interviewed on Anderson Live and they talked about her being a New Kids fan. Then they showed a clip of Joey giving her a video message. Here is the video clip. Here is an interview with Jordan from Boston.com about the new NKOTB album, Jordan's work in the local community and more. 'I love Dorchester, I'm a Dorchester guy, but when you grow up you have dreams, and Milton is one of those places you dream about,' Knight said while sitting in East Dedham Square's Abby Park on Tuesday. 'We've been touring since 2008 since our reunion and we kind of learned' teaming up with other acts from the same genre of music ' pop/R&B ' and the same era, it really worked,' Knight said, mentioning the band's previous tour with the Backstreet Boys. When the New Kids toured with the Backstreet Boys in 2011-2012, fans talked about the two bands as rivals and didn't know what to expect, but it turned out to be a great experience for both groups, Knight said. The newest tour, called The Package Tour, was announced on ABC's 'The View' on Jan. 22. It includes May 29 and 31 shows at Mohegan Sun in Uncasville, Conn., as well as June 2 and 3 shows at TD Garden in Boston. Knight enjoyed the announcement on 'The View,' describing the audience's excitement as the group announced who they would tour with. At the same time as he praised some of the boy bands of the 90s era, he had criticism for similar acts today. New Kids on the Block were inspired by New Edition and The Jacksons, Knight said. Performing is different for Knight in 2013 than it was in the '80s and '90s, when New Kids on the Block first made their mark. Concerts would begin, fans would start screaming, and cameras would flash nonstop. 'Back then it was kind of like what Justin Bieber is going through now ' Bieber Fever ' but it was like New Kids Fever. If we were sitting here 25 years ago, they'd have to lock the front door,' Knight said. The New Kids stopped performing for more than a decade, and Knight said he appreciated the second chance to sing and dance with the group again. Social media has likewise changed the way group members have interacted with fans one-on-one, allowing them to get to know faces, thoughts, and personalities, he said. 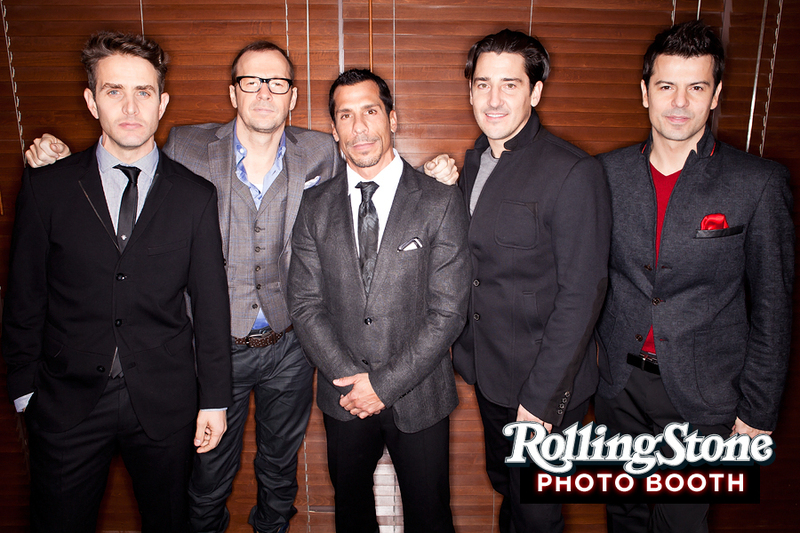 NKOTB's forthcoming album, '10,' their 10th American release, features songs from Danish producers known as DEEKAY. The first single from the album, 'Remix (I Like The),' was released on Jan. 28. When not touring or working with the band, Knight describes himself as a homebody. He also contributes to the community, acting as assistant coach for his son's hockey team and volunteering contributions for educational writing software now used in Milton Public Schools. He is also acting as MC for a charity event Friday, Dancing for Hope, supporting the St. Mary's Center for Women and Children in Dorchester. The event is at 7 at the Royale Boston on 279 Trement St. Tickets are $30 - $125. For more information, visit www.stmaryscenterma.org. Knight thanked his fans and the people of the Boston area. 'No matter where we are in the world, we let people know we're Boston boys and we're proud of it,' Knight said. Here is a montage of Joey's scenes from the episode of "Motive" that he guest starred in. The Package Tour has added a second show in Chicago on July 18 at the Allstate Arena. Tickets go on sale 10AM 2/16. Block Nation VIP Package pre-sale begins 2/7 at 10AM CT! Here is a clip of Joey McIntyre singing "Hit me with your best shot" on the Canadian TV show "Motive". NKOTB, 98 Degrees and Boyz II Men have added a new show to their tour: Barclays Center in Brooklyn, NY on June 16! Tix on sale 2/16 at 10AM. If you are in Canada, don't forget Joey will be on "Motive" tonight on CTV. The series will air in the US this summer on ABC (see this article for details). Zimbo posted some photos of Donnie going over his lines on the set of Blue Bloods last week. Click here to view! Jordan Knight and two fans got the opportunity to present check for 10,000 Euros to Dancing For Hope courtesy of The BiLLe Celeb Charity Challenge. Check out the photos here. Pre-sales for VIP tickets for the St. Louis show start tomorrow. Click here for more details. Here is a trailer for Joey's movie "The Heat". (Joey is not shown in this trailer though). Donnie is interviewed about growing up in Boston and the his upcoming show "Boston's Finest" in this video clip. The Package Tour has added a new date: Anaheim, CA, July 13, 2013 at the Honda Center. General on sale 2/16/13 at 10AM PST! VIP Packages on-sale 2/7 at 10 am PT! 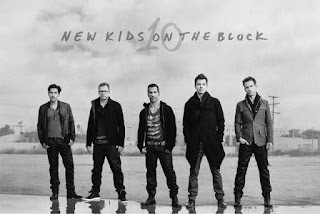 NKOTB's new album "10" will be released on April 2 and it is now available for pre-order. Due to overwhelming demand NKOTB has added a second San Jose show on 7/12/13! Tix on sale 2/2/13 @ 10am local venue time. (there is no presale available). Chicago Allstate Arena 7/12 is now 7/19! Minneapolis Target Center 7/13 is now 7/20! All tickets previously purchased will be honored at the rescheduled dates. Watch preview of Blue Bloods episode "Inside Jobs"
Here is the preview for tonight's episode of Blue Bloods called "Inside Jobs". When a man with multiple rat bites is thrown from a moving car, Danny works the case to find out why and who was trying to send a message. Meanwhile, Frank must be diplomatic when dealing with a bigoted radio host (Mark Moses) who will be broadcasting from New York City. We're excited to announce that we will be performing at a special private acoustic event for contest winners at Live In The Vineyard in Napa, California in April. This special winner-only event is kicking off today for registration at www.liveinthevineyard.com/contests. The only way to get tickets to LITV is to win them! We'll be performing at Sutter Home Winery and you can register for chances to win at www.liveinthevineyard.com, and watch our site and LITV for all the partner radio stations, sweepstakes and chances to win! Good luck - we hope we'll get to see you there!